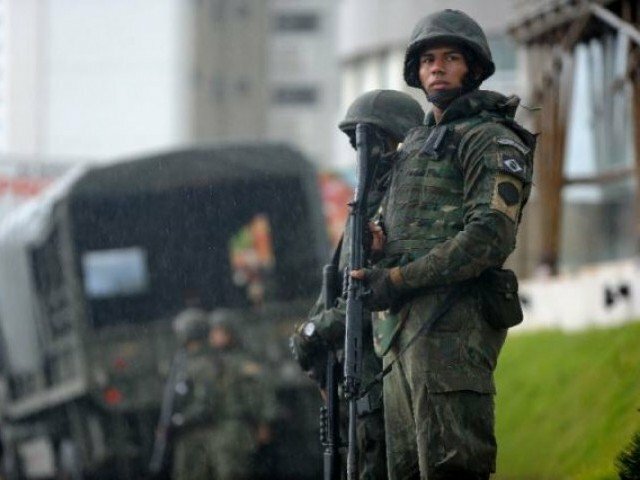 Brazilian president Temer along with his ministers have decided that the army is taking over security in Rio de Janeiro. The violent situation that the state of Rio has been going through over the past couple of years is no longer acceptable. The army will take over command of police forces in a bit to curb violence driven by drug gangs in the favelas (slums). It is indeed an extreme procedure that Brasilia (Brazil's capital) is taken. It is the first time that such measure is in place since the last democratic constitution in 1988. The congress has to vote this presidencial decree at once. That's because the country is put to a hold till this presidential act is aproved. Congressman have already decided the the vote will take place in Brasilia tomorrow. Let's hope that the violence starts decreasing in a short future.